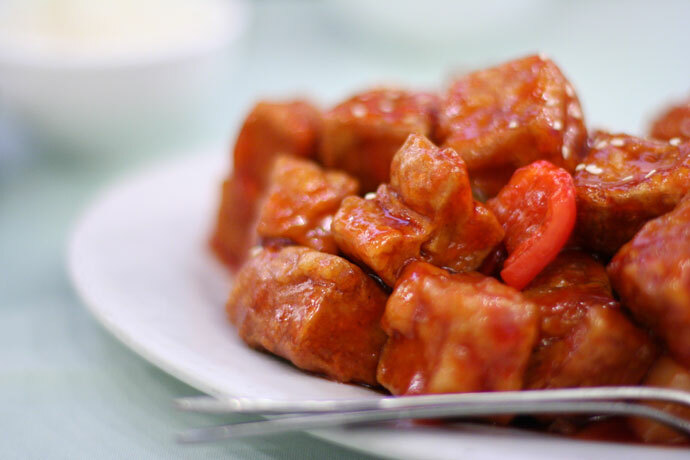 Bo Kong Vegetarian Restaurant (visitor reviews, 3068 Main Street, Vancouver, phone 604-876-3088) is a Buddhist Chinese restaurant that serves a large selection of tofu and gluten vegetarian dishes. 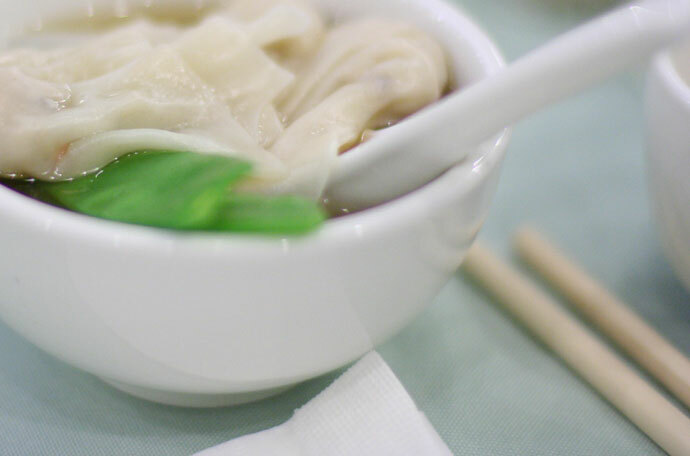 You won’t miss the meat, even in dishes like the wonton soup (pictured below) or the pineapple sweet and sour delight (also pictured below). This restaurant is very popular among vegetarians and meat-eaters alike. Dinner for two with soup, rice, and two dishes came to around $30. 10,062 views. This entry was posted on Thursday, September 20th, 2007 at 10:44 pm	and is filed under Asian, Buddhist, Casual, Chinese, East Vancouver, Food Photos, Healthy Food, Lunch, Restaurant, Take Out, Vancouver, Vancouver Restaurants, Vegetarian. You can follow any responses to this entry through the RSS 2.0 feed. You can leave a response, or trackback from your own site.